It takes lots of skill and a little luck to win a golf match. It takes passion to win a championship. Passion is what motivates an athlete to work hard between matches. Some kids have the dedication to succeed in sports and others don't. 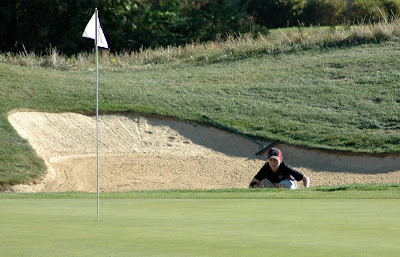 The nine golfers on my son's golf team have the passion and drive to succeed at golf. As a result, they won the Cincinnati City Championship by 33 strokes. To make this very talented team, my son played 37 straight days. He then competed in a two day tournament tryout and qualified 3rd overall. He took one day off. Then he played 14 straight days before the first matches and the beginning of school. In total he played 52 of 53 days. I am sure that he has played or practiced 75 of the past 105 days. He certainly has the passion and work ethic needed to succeed. During this time, his ranking in Call of Duty plummeted from among the world's best. He lost his passion for video games, thankfully. My son, Nic, played football for his school team and won two Cincinnati City championships (3rd grade and 4th grade). After his second year of football he decided that he did not have the passion to play the sport anymore so he did not sign up for football as a 5th grader. He went back to soccer and had a good time but did not have the passion for soccer. 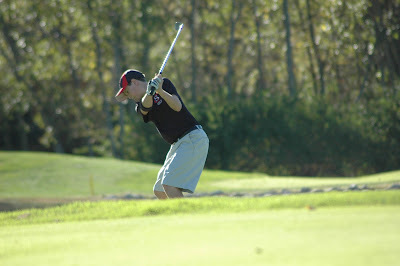 He contemplated going back to football, but his school established its first ever golf team when he was in 6th grade. He decided to tryout for golf. He made the inaugural team and has never looked back. Kid needs self motivation, passion, to succeed at a sport. In other words, they need to love what they are doing to do it to their highest potential. Are your kids playing a sport they love or are they playing a sport you love?